You Are Here: Home / Pool Cleaning / Pool Draining / How Often Should I Drain My Pool In Arizona? If you are wondering how often you should drain your pool, which seasons of the year you should drain your pool or why you should drain your pool in the first place, this post should help clarify! For those living in Arizona, it is recommended that you drain your pool completely, and then refill it at least one time every three to five years. However, because of the desert climate in Arizona, recommendations suggest that pool be drained only during the fall and winter when the weather is still cool out. Making it convenient for you as well, for more than likely you will not be using your pool during this time period due to the cold. When Is The Best Time To Drain My Pool In Arizona? The best time to drain your pool in Arizona is during the fall and winter months. Yes you can drain your pool during the fall and winter season in Arizona. Why can’t I drain my pool in the summer? Draining your pool throughout the dry summer months of Arizona’s hottest time period, could create the risk of damaging your pool, which could be rather expensive for you to have repaired. This is because of all the heat and not much moisture in the air, which can make the pool’s floor crack. Not to mention that it would not be good for the desert environment, especially in areas where the water is scarce, for the water that is drained out of the pool will more than likely merely evaporate from the heat and will not be used for watering your lawn, plants, or any other wild life on your property. Why do I need to drain my pool in the first place? Because Arizona is on land in a desert, just about all of the water that is needed for its residents to live a normal life has to travel a long distance, during which time it also has to go through treatments to be sanitary. Arizona’s water is well known as the hardest water in this country, this is something you will eventually see for yourself as it builds up on that nice decorative pool you have. Another good reason why you should be draining your pool on a regular basis, in order to remove the build-up of the hard water and calcium. Does my pool need to be drained to be cleaned properly? There will be times that completely draining your pool will be necessary to be able to get rid of all the build-up, also, so that you can start fresh with a base chemical. During the time when you do drain your pool completely, would be a good time for you to make any needed repairs, do an acid wash or give it a good cleaning, and you may want to clean the tile of the pool as well. As a preventive measure in the maintenance of your pool, it is also recommended for the pool to be washed with chlorine or acid at the time your pool is being drained, which is to ensure that your pool is going to be safe, as well as being chemically balanced and kept at its peak performance. In case your pool has turned green, it will require a rigid combination of cleaning, filtering, and adding the necessary chemicals in order to bring it up to its initial beautiful color of blue that you have come to love. The best way to go about all of this is to simply drain the pool completely and give it a good chlorine washing to be certain all of the algae and bacteria build-up is taken care of. The pool’s filters are also among the necessary items that will need some professional cleaning, or the pool will go back to being green even sooner than before. Not only are green pools breeding grounds for mosquitoes (which is what transmits a deadly disease we know as the West Nile Virus), but the bacteria in green pools can make us unhealthy by itself. Due to the health risks involved from letting your pool stay green once it turns will get you a fine in the state of Arizona. If you want to avoid further complications be sure to keep your pool maintained and should it begin to turn green, act quickly and have the problem handled. 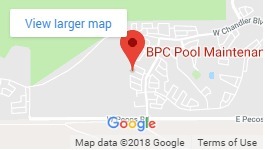 Does BPC Pool Maintenance drain pools all over Arizona? 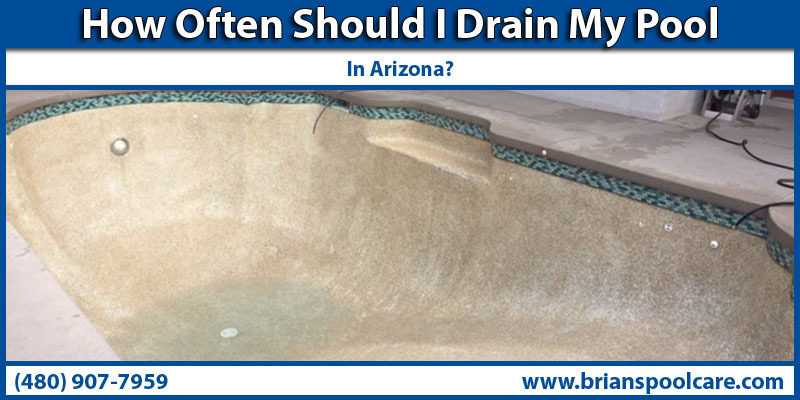 Unfortunately not, BPC Pool Maintenance only offers pool draining services in Ahwatukee. Click the following links for pool draining in other cities of Arizona: Phoenix, Scottsdale, Tempe, Mesa, Chandler & Gilbert.